This will be my last post, for a while anyway. It’s taken a lot of soul-searching to figure out just how much this effort has meant to me and what I am and am not willing to put on the line to see it advance. In the end, the work asked more than I had to give. In the early part of this year I put a lot of effort into trying to build a team to take the work of Vermont Sail Freight to the next level. But unfortunately this team never really coalesced and unified around a single goal, and one by one we lost participants to the demands of other areas of their lives. At the same time, serious obstacles to our long-term success were in fact overcome. For instance we cemented access to warehouses and terminals at both the northern and southern ends of the route. And we obtained a quote for a much better rate on our commercial marine insurance. But it began to seem that for every problem solved three more would replace it. None beyond our skill, but demanding too much in aggregated energy and time. So what of Ceres? 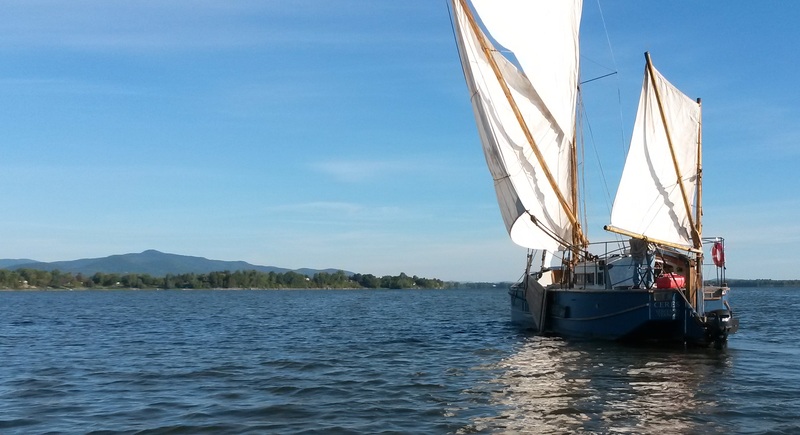 For now, our intrepid sailing barge is hanging out on the farm, under a tarp. All the rigging and sails are sorted and put neatly away. I still am responsible for taking care of her, even if we can’t put her to work. The Willowell Foundation and I jointly came up with this crazy plan that in many ways surpassed our initial estimations of what it could be and mean. But so to did certain costs exceed our expectations. Our $20,000 insurance bill, which came as a total shock just prior to our 2013 voyage to New York (though we had been trying to obtain coverage since December 2012) came as a sucker punch to the effort, and would have killed it then and there if Willowell hadn’t paid the bill. I had hoped that by continuing the work we could pay off that cost over time, but we did not succeeded in that, nor did we succeed in obtaining grants to continue the charitable aspects of our work (education, environmental stewardship, promotion of waterfront civic life). I feel like I have tried everything I could think of, and that at this point I need to put my family and my farm first. However I hope to keep Ceres and the past work of VSF in my pocket, at least for now, in case anything changes down the line. I would welcome any serious inquiry from anyone out there who might be willing to take this on. Personally, I don’t think the need for and interest in this kind of work is going to go away, but I already have two full-time jobs and can’t handle a third. Thanks to everyone who played a part in helping us get as far as we did! I only recently learned of this project and (was born and still) live in an area so far removed from this concept that it took me decades to discover it even existed. 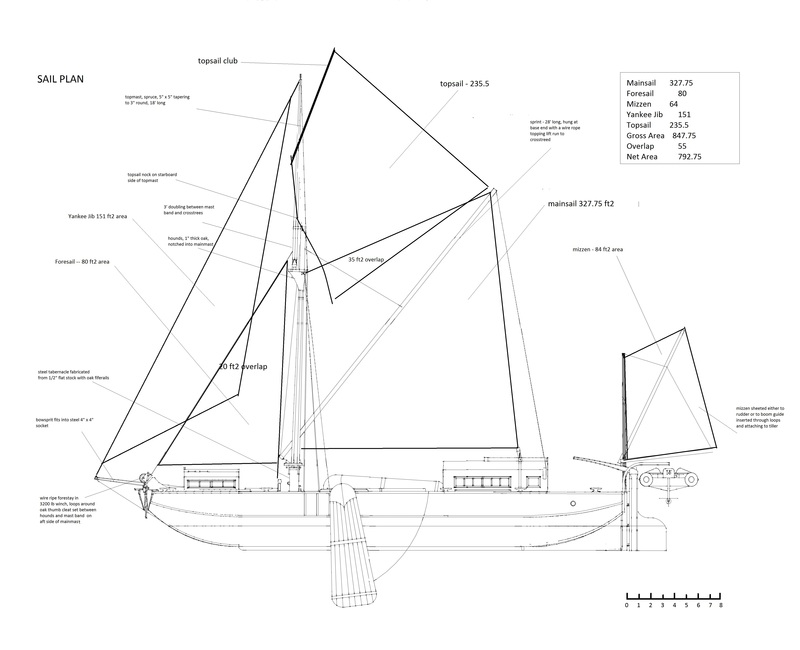 I view your approach to this concept of working sail as the way of the future and perhaps ahead of its time (odd as that sounds for a classical approach to something). If I have my way there will come a time in my life when I can contribute meaningfully to this project (or one like it) and I anxiously work toward those (and other, similar) ends. Thank you for the sincerity and earnestness you have shown in this endeavor and may our paths someday cross.